Bible Books Of Genesis And Revelation Compared. The Bible records for us the beginning of the world and the end of the world and tells the story of mankind from the beginning to the end. In the pages of the Bible, you will find information about mankind's fall into sin, the redemption and God's ultimate victory over evil. CONTINUE READING: Bible Books Of Genesis And Revelation Compared. Hi Bill and Teddy, thanks for sharing this fascinating blog. It's so crystal clear when you see the comparisons in black and white. Thanks Bill and Teddy. I will repost on the Syndication Express blog with a link back to your blog. 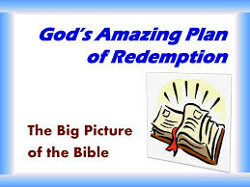 Revelation 21:4 and Matthew 24:14 are the scriptures that says it all of what God has planned for all in this world. Thanks for sharing your post Bill and Teddy in the SE community. It has been shared everywhere for more to see and read.